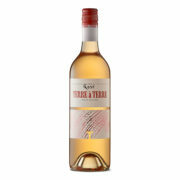 Terre a Terre, a french expression meaning “Down to Earth”, was started by husband and wife team Xavier Bizot and Lucy Croser with the desire to produce great Australian wines of terroir… with a French twist. Xavier and Lucy began working together in 2005 launching Terroir Selections, a boutique wine wholesaler that is dedicated to unearthing wine domaines from around the world that produce some of the most interesting and exciting wines from their respective regions. Additionally, they both work together alongside their father/father-in-law Brian Croser on the development of his new venture, Tapanappa Wines, a fine wine company that produces highly accoladed wines from three “distinguished site” vineyards in South Australia. Back in 2004, Xavier and Lucy purchased a block of land right next door to Tapanappa’s Whalebone Vineyard in Wrattonbully, and planted it on close spacing to Sauvignon Blanc (2 hectares) and Cabernet Sauvignon (3 hectares). Shiraz (1 hectare) and Cabernet Franc (1 hectare) were planted in 2008 and one final hectare of Sauvignon Blanc was planted in 2013. As the time approached to think about negotiating that sale of the first crop they just couldn’t bring themselves to do it. 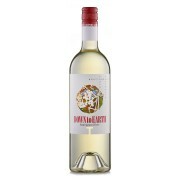 The wines that they were selling through Terroir Selections had given them ideas about different winemaking techniques that they wanted to explore, and the quality of the terroir at Wrattonbully, proven by the wines that Tapanappa was producing, was just too tempting. 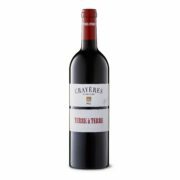 Ever since, they have been producing highly awarded wines under the Terre à Terre label using fruit from what has now been named the Crayères Vineyard (named because of the network of limestone caves – or crayères in French – that run underneath it) . In 2009, Lucy and Xavier started to use some fruit from their Bizot vineyard in the Piccadilly Valley to add a sparkling wine to their range. 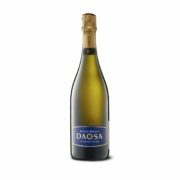 The first vintage of the Daosa Blanc de Blancs was released in 2013, after 4 years on lees and several more vintages are currently in barrel ageing on lees. 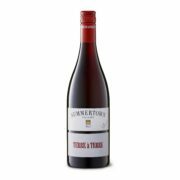 From 2015, Terre à Terre has secured the fruit from one of the oldest vineyards in the Adelaide Hills, the Summertown vineyard, allowing this range of small batch single vineyard wines to slowly expand.